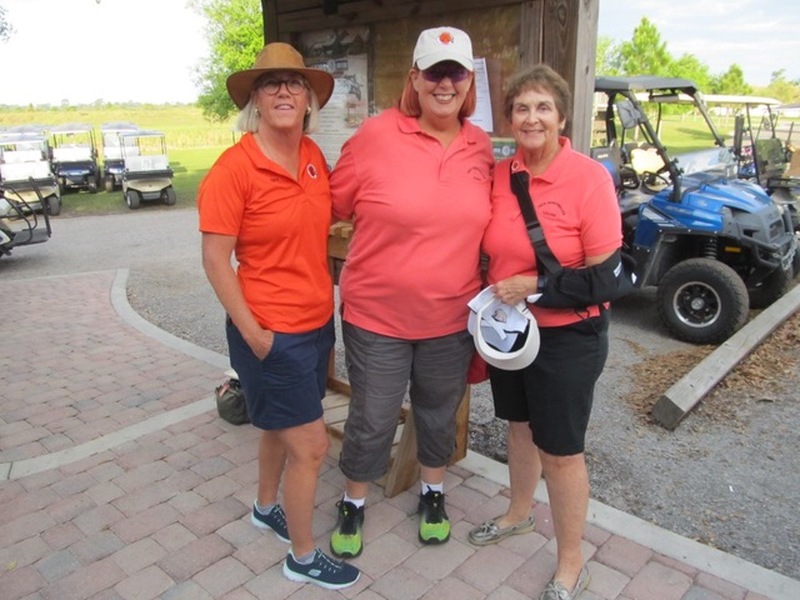 Syren pro-staff member Dee Orr, who is a long-time Sporting Clays shooter, now lives in Florida (after many years in Maryland). 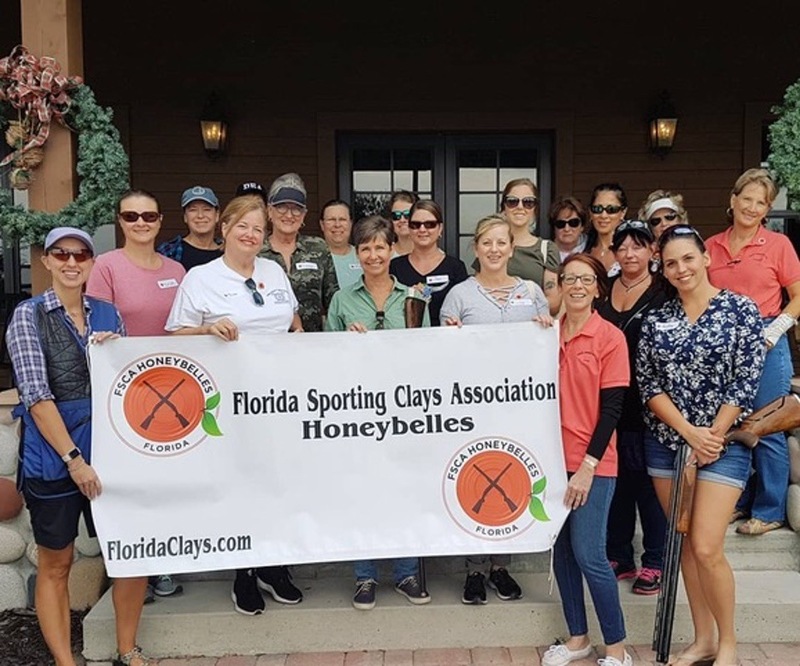 Thus, she has taken Florida by storm by working with the Florida Sporting Clays Association (FSCA) and a group called the FSCA Honeybelles (which is an orange – hence its logo). Guys in the group are called the Honeydews. Syren Savvy: How did you get started with the Honeybelles? Was it your idea that you took to the FSCA or did they come to you? Dee: Actually, FSCA board members Louise Terry and Rollins Brown were the forces that got this going. The FSCA proposed raising the target fee by a penny and they inquired how the money was going to be spent and suggested ladies and youth initiatives. Louise drafted a few other ladies to join her, one of which was familiar with the Women on Target program. We had recently moved to the area from Maryland, so they drafted me as well. I am retired and have the organizational/administrative skills and time, so I became the project administrator/coordinator. Syren Savvy: How many clinics have you had so far and how many ladies have attended? Dee: We have had 24 clinics and put 343 ladies through them, 80 of that number were ladies coming back for more. So, 263 different ladies have come through our program. This has been far above our expectations. Once we had a few under our belt, it was word-of-mouth, with participants telling their friends, which has propelled our numbers. I tell the ladies they can only come back for a second “beginner” clinic and then they have to make way for new shooters and sign up for the Basic Plus or Intermediate Advanced classes, or better yet, some individual lessons! Intermediate Advanced is for those who really want to hone their skills shooting 100 targets for $100. Clinics are all inclusive: guns, ammo, targets, cart and taught by certified female instructors. Syren Savvy: What months do you conduct your clinics? Dee: We are in Florida and it gets HOT, so we run from late September until late May, taking off during the heat of the summer. Syren Savvy: How many clubs in Florida participate in the clinics? Dee: These 3 are our base camp: OK Corral, Quail Creek and Vero Beach. We went to Sarasota Gun Club and got them started a year ago and now they are running their own program. We are going to St. Augustine to do our first clinic there with John Woolley and get them going on March 31. Gulf Coast Clays is interested in starting a program also, so we will work with them over the summer to get them up and running come fall. The goal is to have it spread throughout the state. Note: the key to the success of the program are the certified female instructors who are willing to give their time; we started with 5 and are now at 12. It is the dynamic of women teaching women that makes this program work. It creates a very relaxed and fun atmosphere and the women get loud and cheer and it is just a lot of fun, FOR ALL. We have also been very fortunate that our local NRA folks are certifying our instructors at a highly discounted rate and our insurance is through the FSCA. Our goal is not to run around the state doing clinics, that is simply not how we are set up. It is to get groups started so they can operate on their own as it could easily be a club-based function. Further, we limit the number of clinics so as not to burn out the instructors, and also limit the ratio of student-to-coach – keeping it low – to provide for individualized attention, while still giving the ladies lots of time to shoot. We feel this gives a quality experience. Syren Savvy: How did your first annual fun shoot go? How excited were the ladies to get to shoot in a competition? Dee: We had it on March 24 at OK Corral and had over 60 ladies sign up! We were over-the-moon with the number of ladies who attended. 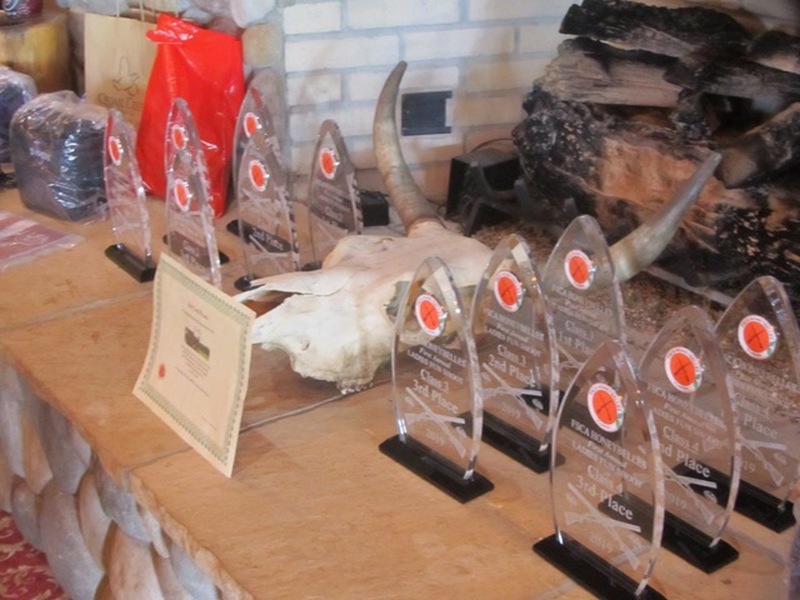 By having them signup online, just as you would a registered shoot, we feel that is further educating them to the competitive world of sporting clays. Our event was Lewis class so everyone had a chance to win and the trappers for the day were the instructors, so help was available throughout the 50-bird course. The other thing that is making this work is the generosity of a fellow shooting couple who picked up the tab for the trophies and some give-a-way items. We had door prize donations from NSCA, PMS Firearms, Cole Fine Guns and Syren. Syren Savvy: If you are interested in starting introduction clinics in your state, is there a way they can get started? Pre-requisites: Certified Female Instructors willing to give their time to promoting ladies shooting. And finally, you need someone with the time and desire to manage the program. Syren Savvy: What are your social media links? Dee: You can find the FSCA Honeybells on Facebook and Instagram. Syren Savvy: Any additional clinics before you finish in May? Dee: We have scheduled 2 more clinics and they will be the last ones until fall. April 27 at Quail Creek Plantation in Okeechobee will begin at 1p.m. and will host all 3 levels. Dee has sent me some of the letters she’s received from these ladies, which are so inspiring to read and always put a smile on my face. I am the new owner of a Syren Elos 20G, and new to sporting clays. I want to thank you again for supporting the Honeybelles programs. I bought the gun because I was able to try Dee Orr’s Syren Elos loaner. Another beginner from a Honeybelles clinic is on the verge of buying a Syren, too. I’m sure there are many, but your support not only helps Syren, it helps promote the sport to more women. Sunday was the first Honeybelles Annual Fun Shoot and I was thrilled to win a Syren gun case, among other great Syren goodies. THAT was a very generous gift. Just wanted to let you know the group was very appreciative of your sponsorship. I just wanted to reach out and personally thank each of you for the wonderful Sunday event you sponsored at the OK Coral Gun Club. This was incredibly organized and wonderfully orchestrated. You made every woman attending feel so welcome and informed. I have to admit, I was a little apprehensive about the event. As a first timer, I was unsure as to what to expect and was anticipating an air of intimidation walking into the room. Nothing could have been further from the truth. In fact, I immediately felt a part of something much bigger and the smiles, “hellos” and eagerness to answer any questions or concerns I had, was evidenced with every volunteer in the room. Never was I made to feel like I didn’t belong. It was a great demonstration of women empowering other women. I loved it. Dee, I can speak to you personally, as I had the honor of having you as my instructor. Wow! What a teacher you are. There was never a time that I felt like I couldn’t do this. You “rah-rah’d” us all on throughout the day. Gave us the pointers we needed and best of all, got us interested in a sport that I would have never thought I would have considered. I truly want to be your friend now! The women’s movement needs more strong and gentle leaders JUST LIKE YOU. Thank you ever so much for the most perfect day. I walked away feeling a little taller and confident after just a few hours due to YOU and your volunteers. Hope you know what a difference you all made with this! Thank you for a truly remarkable and life-changing experience. Life-changing, you ask? Yes. Rarely do any of us know the back-story of those we meet, so I’ll explain why this was a breakthrough clinic for me. My husband, who taught me most of what I know about hunting, fishing and the outdoors, died suddenly in 2011 at our home in Ohio. Because this was so traumatic, I responded by too hastily selling or giving away most everything we owned, including boats, ATVs, guns, ammo, fishing equipment, and everything related to the great outdoors thinking that I would never enjoy “that” life again. I made Florida my permanent home 1 month after his passing. 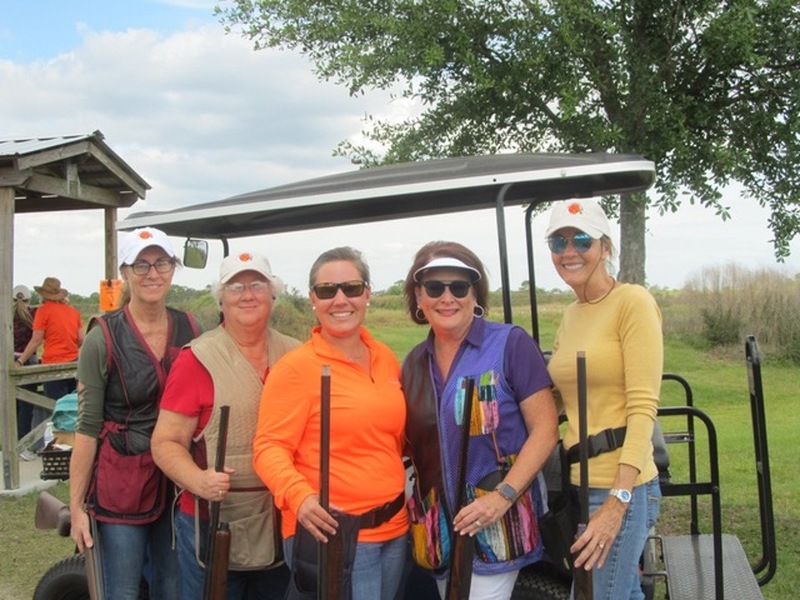 When my friend, Linda, asked if I might want to attend the Honeybelles Ladies-only Sporting Clays Clinic, I considered it an opportunity to recapture some of the “old” me, and the lifestyle I had lost. Meeting all of you ladies and connecting with individuals who enjoy shooting as much as I do has made a difference in my outlook. 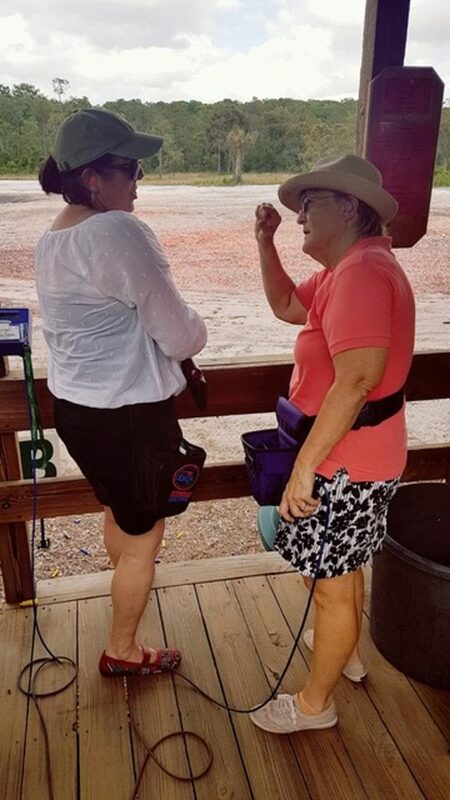 Thank you for the knowledge shared by the expert shooters and compassionate instructors – Dee, Colleen, Louise, and especially Tibby, who spent the day with Linda, Shakyra and me. She was patient and exceedingly helpful to each of us. Thank you for the camaraderie that all of you showed. Thank you for the fun and useful products included in our goodie bags. Thank you for the complimentary year membership in NSCA. Thank you for everything. The new, “old” me is now searching for a replacement shotgun to complete my transformation into a Honeybelle of life! I’m unable to join you on March 24, but look forward to seeing you all again. Where did you say we could get a discount on purchasing a shotgun if we mention the Honeybelles? Thanks you for your excellent instruction and endless patience! I learned so much and plan to continue to practice. Your clinic was so much fun. Can’t thank you enough!